Everything looked different in the daylight. The feeling I had was reminiscent of the one you get in the moment after last call when the bartender flips the light on and you see everything as it is for the first time. The cobblestone streets bear the brunt of the night before. Cigarette butts and beer bottles blanketed the ground. The bikes that could normally be found zooming through the streets were far from sight. I was singular as I rolled my suitcase through the city for one last time – just Amsterdam and me. Hours before the streets told a far different story. Often called the Venice of the North, there is a deep beauty that underpins Amsterdam that is often overshadowed by the illustrious activities that have made the city one of the most visited in the world. Admittedly, before visiting Amsterdam I had judged it as a place that people went to connect with their daemons and feed their desires. But I was wrong. There is a rich culture that can be found in every nook and corner of the city. Even the notorious De Wallen, one of the best-known red light districts, is beautiful in its own right. It is here where Oude Kerk, the oldest building in Amsterdam, can be found amongst many other architectural gems. It is the dark underbelly that steals your glances though. As dusk falls a red glow cloaks the district – very apropos. The ladies of the night (the ones I imagine Sting is singing about in Roxanne) take to their windows like living mannequins. The women preen and beckon potential clients their way – and every now and then one welcomes a customer inside. De Wallen attracts all kinds – including many bystanders who are just anxious to see what it is all about. Curiosity gets the best of most people and inevitably you will end up there. Go, but don’t linger too long. There is so much to see, and the Red Light District is just one frame of a place that has so much more to offer. Visit one of the many brown cafes, which are the Dutch equivalent of a pub where you can grab a beer and bar snacks. 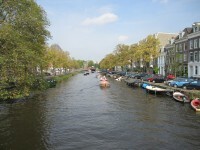 I visited Café ‘t Smalle in the Jordaan District. Despite being a very popular spot, I managed to snag a table next to the canal. 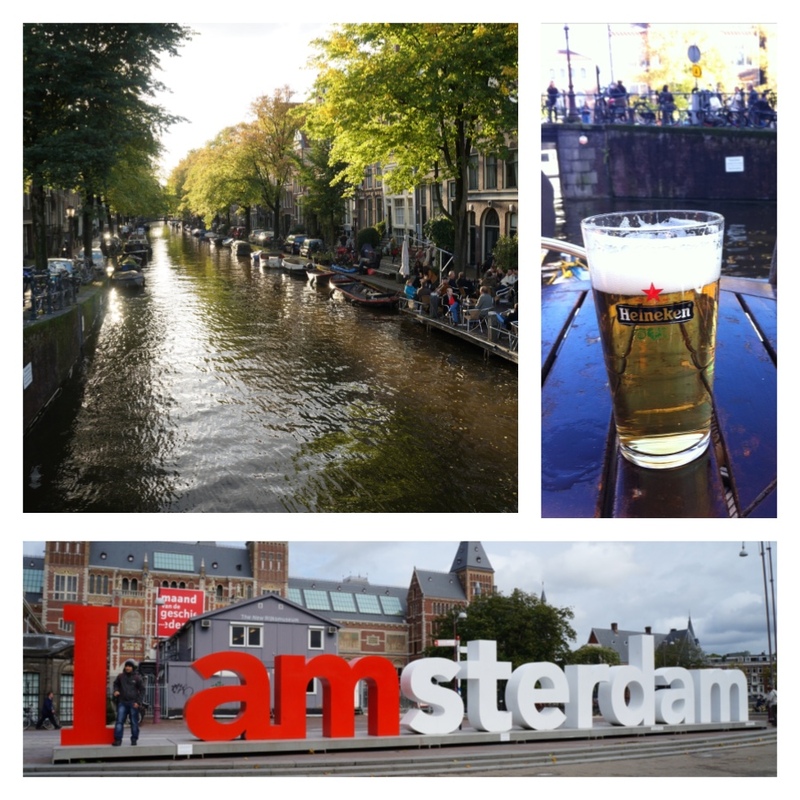 Even though it was quite cold the day I visited, I sat there for hours sipping on a Heineken Extra Cold – watching canal cruises filled with tourists float by. Sample the foods indigenous to the area. Amsterdam might not receive the culinary praise that neighboring countries do, but it does offer its own unique point-of-view. Having inadvertently missed Indonesian cuisine on my first trip, it was a top priority. So, I found myself at Tempo Doeloe (more later), where the food was spicy and the hospitality warmhearted. But one of my all-time favorite discoveries is bitterballen, a Dutch fried snack, that is commonplace in most bars. Be highbrow and take in a museum. There are the homes of important historical figures like Rembrandt and Anne Frank, who each in their own very different ways have left an indelible mark on the city. There are also a number of art museums like the Dutch national museum, Rijksmuseum, and the one dedicated to the work of Van Gough. As I reached Centraal Station ready to board my train to Amsterdam Airport Schiphol, I noticed that the street cleaners were already hard at work piecing the city back together. The trash that lay on the ground was a temporary mark on an otherwise beautiful and oft-misunderstood city.